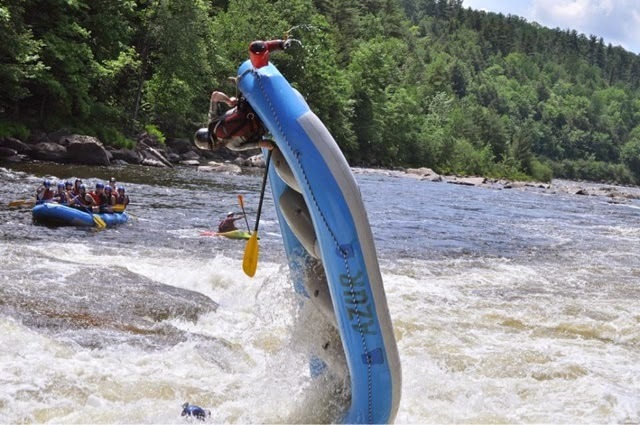 RIVIÉRE ROUGE, QUEBEC, CANADA a photo exposé and short story from Rob Gravelle | DBP MAGAZINE ONLINE The World's Best Free Whitewater Publication. 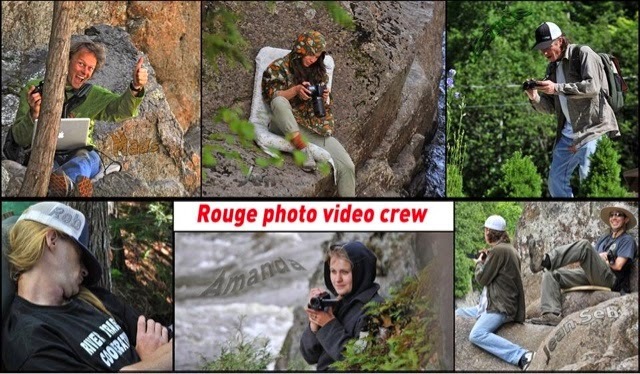 I am one of a very select few of photographers that work on the Rouge, and most of us have been friends for many years and are a very close crew. If you think about it we are your biggest fans, your ego boosters, proof you must drink from your booty, your all around land support and we absolutely love what we do. 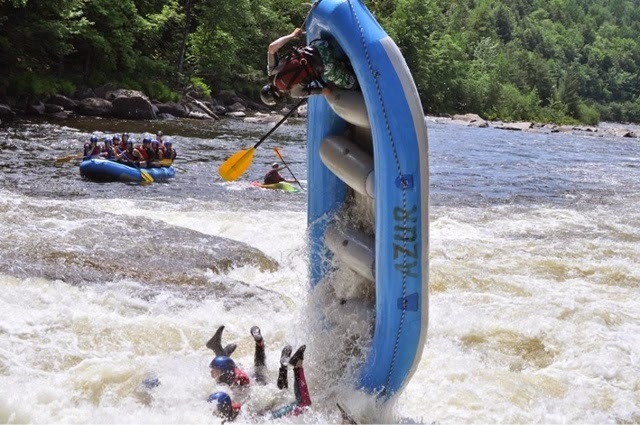 Capturing images of some of the best whitewater action there is as we enjoy the absolute beauty of this gorgeous place we live in is what we do. Our main priority is to give our clients the best souvenir possible, of an experience they may or may not do again, so every Wallace is not only a sale for us but also an experience of a lifetime for them that we are extremely proud to capture and share. The Rouge River consists of many sections, the water making a 250km journey before falling into the Ottawa River. 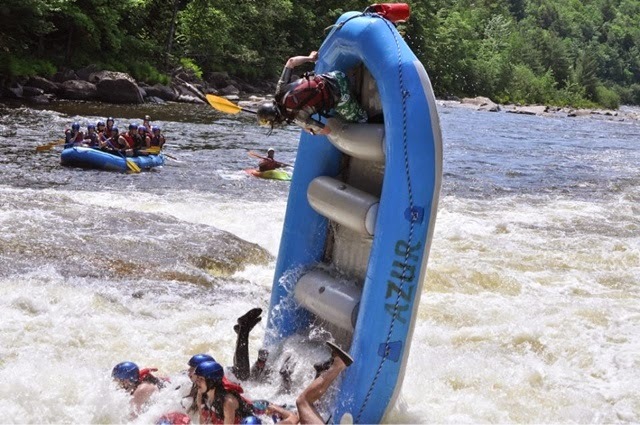 The last few sections are where we raft. As the Quebec Mountains meet the plains of Ontario the river steepens, and the closer you get to the Ottawa River the steeper it becomes. 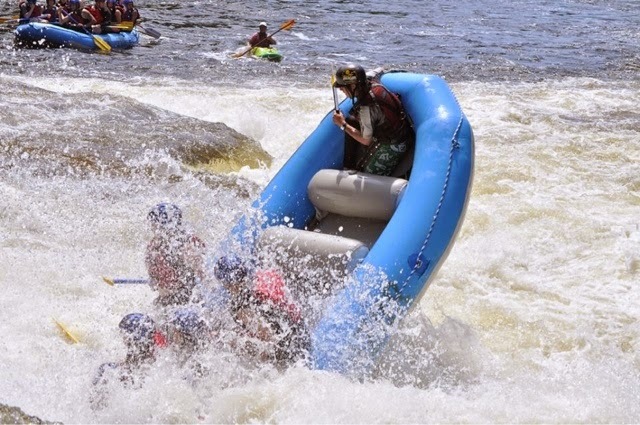 In Spring commercial rafting trips will usually go to “The Canyon,” but if the water get even higher than commercially allowed (450 m3/s) the “Dog Dayz” are born and we run “The White Dog” section with only a few huge rollers and a rapid running under a bridge. 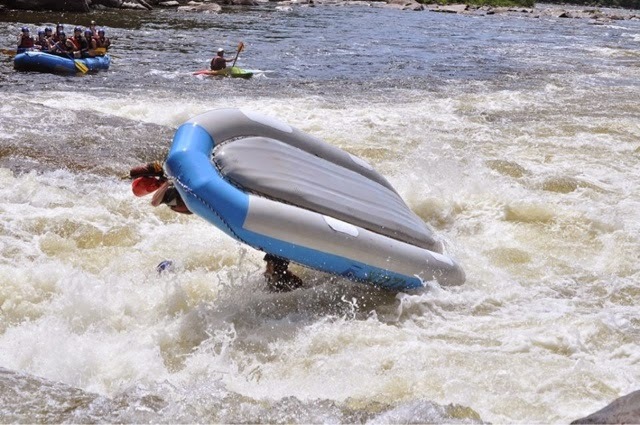 White Dog Rapid is a beautiful standing wave that takes up half the river, and is ideal to surf in any craft. We never know whether or not it will be a white dog year but when it’s in there is an excitement along the Rouge like no other. 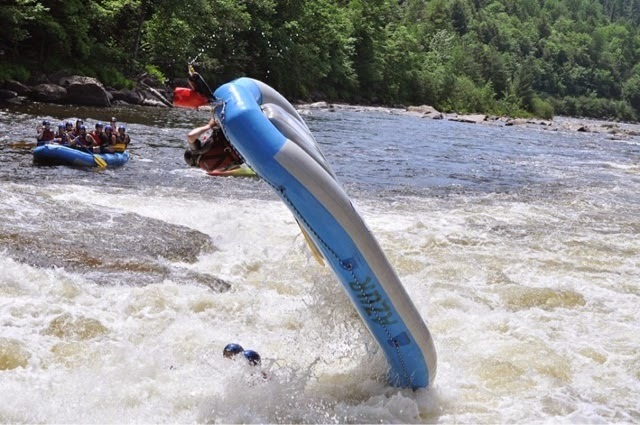 This normally quiet part of the Dirtbag World is filled with colourful boats and cheers as each boater takes their turn surfing the dog; many times two or three kayaks are surfing it up and getting sick air. 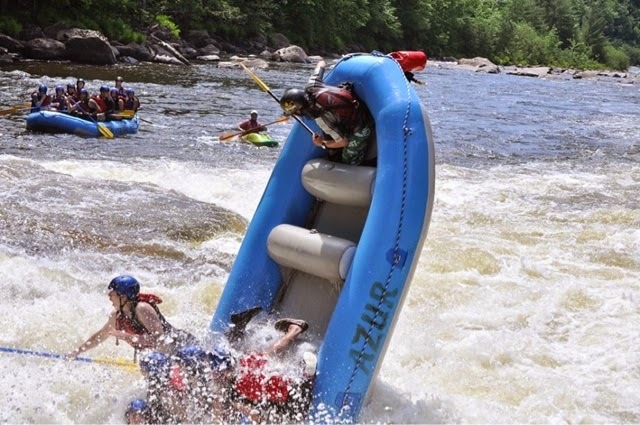 Credit Sim River as the raft guide in this epic Wallace. He is back after a 3 year hiatus due to injury. 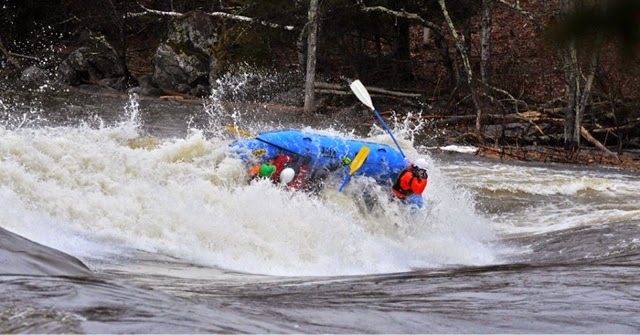 This sequence is a textbook definition of WALLACE! 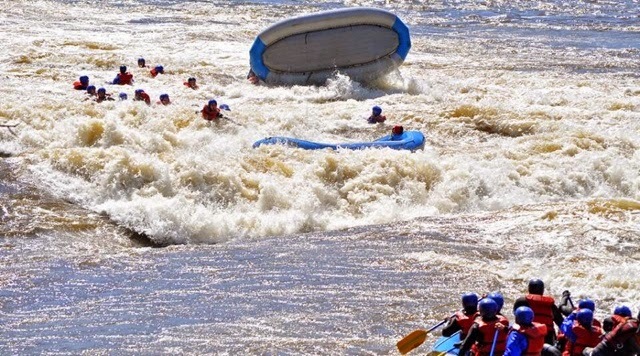 That is all for the very high water section. Stay tuned for next Saturday’s PART TWO: “Harrington Canyon” on the Upper Rouge.